Canada-U.S. Price Gap: Are The Tories Really Trying To Do Anything? Prime Minister Stephen Harper and Finance Minister Jim Flaherty aren’t really trying close the Canada-U.S. price gap. But if they are, they’ll have to fight a lot of businesses to make it happen. That seems to be the takeaway from comments by business leaders and academics since the Tories announced a new effort to reduce the difference in prices between Canada and the U.S. in their budget tabled Tuesday. First there are those who simply don’t believe the Harper government is actually trying to do something about it, especially given this government’s business-friendly stance. “To me it frankly just appears as more of a populist issue, trying to make it seem as though we're trying to do something about price difference rather than actually addressing the problem," Rotman School of Management professor Ambarish Chandra told Reuters. 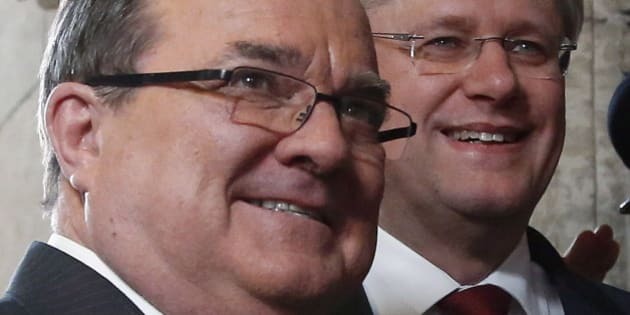 Flaherty’s budget was vague on what the government plans to do to address the issue of “country pricing” — the practice of international companies charging more for an item in one country than in another, even if costs don’t justify it. The budget indicated the Competition Bureau would be tasked with investigating companies engaged in country pricing. Some business leaders aren’t willing to take it on faith that this is just a political ploy meant to appeal to voters angry at paying higher Canadian prices. They argue prices in Canada are higher due to legitimate higher costs this side of the border, and not due to country pricing. “Sony prices in Canada are based on the costs that Sony incurs in Canada,” Sony spokeswoman Christina Stefanski told the Globe and Mail. But the Retail Council of Canada told HuffPost Canada in 2012 that country pricing is a major part of the difference in prices, yet retailers can do little about it themselves because it’s manufacturers and brand owners who set higher prices for Canada. The Council described it as “a huge area of contention” for retailers. “It’s ingrained in everybody’s head that things are always more expensive in Canada,” said Mark Lefebvre, president of the Canadian Booksellers Association, noting there is "no logistical reason" for e-books to be more expensive in Canada than the U.S., which they often are. The Retail Council did suggest to the Globe and Mail that retailers could put pressure on manufacturers to lower prices through “parallel importing,” meaning bringing in goods from U.S. suppliers even against the wishes of manufacturers. That would lead to “lower prices for Canadian retailers and consumers alike," the Council’s Diane Brisebois said. Other observers doubted the government can do much about country pricing. Dan Kelly of the Canadian Federation of Independent Business told Reuters it takes the Competition Bureau years to mount a case against a company, and even when it does, a successful prosecution isn’t guaranteed. "I don't think this is going to have any major positive, nor any major negative impact here in Canada," he said, as quoted at reuters. "This shouldn't cause any panic among merchants in Canada, or even among distributors." But the whole issue may be fading from the spotlight anyway, thanks to the falling loonie, which has caused prices in Canada to come down relative to the U.S. The Bank of Montreal in a recent report said the U.S.’s price advantage over Canada has been all but eroded. It said prices will essentially be at parity with the U.S. when the Canadian dollar falls to 88 cents U.S. The loonie was trading at around 91 cents U.S. on Thursday, down some 10 per cent over the past year.